We started out from homestay at Ba Be lake. The staff was very friendly and helpful, the rooms clean and the food no less than amazing. 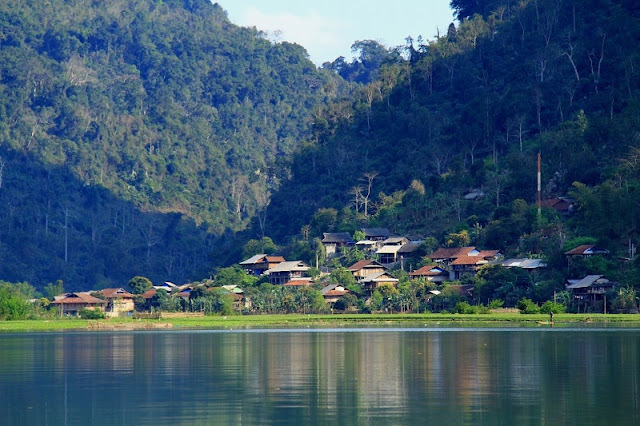 The first day of trekking took us through Tay, Dzao and Blue Hmong villages, completely off the road network. It has been raining the day before, so everything was extremely slippery, but our guides set a safe pace and made sure we got enough time. We did some stops during the day in different villages and ate lunch at a local Tay family. We spend the night at a homestay in another Tay village, following an unforgettable feast, including chicken feet and plenty of rice wine. A night to remember indeeed! The next day we continued our trek, saw Dau Dang waterfall, trekked through Tay villages, along rivers and to the Puong Cave. Finally we made it back to Ba Be Lake via the Nang River. A beautiful boat trip! Third day we visited the Hua Ma Cave - really a sight to behold when you can explore it all on your own - and the Thai Nguyen Minority and Culture Museum. Our guide was great at explaining local customs and it really added an extra layer to our experience. The best time to do trekking in Ba Be national park is during the dry season starting from late September until mid May. 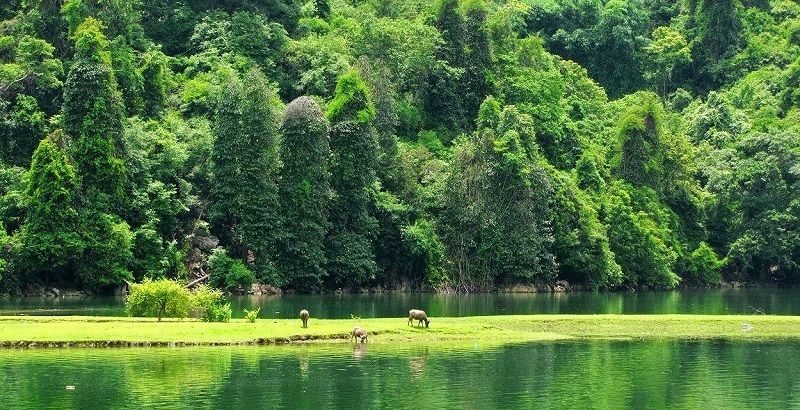 During this time, October and Arpril are the two best month for travelling, hiking in northern Vietnam. In the wet season starting from June to September, there is sometimes big rain. In other days it is hot. The tempernature goes around 30 40 degree C outside. Moreover the humility is very high in Northern Vietnam, 70 - 80%. In case you can only come in Summer, and that you would like to do trekking, we highly recommend easy short treks that are combined with homestay, boat trips. If you have visited Vietnam, a good recommendation from us is not to miss the exciting short trips to Ba Be or Ba Be-Ha Giang to experience the most beautiful hiking trails in North Vietnam.